Two of the biggest OCR series in the U.S., and around the world for that matter, are Spartan Race and Tough Mudder. Both of these race series have dozens of events around the world each year, and both brands are growing at a rapid pace. There are a lot of similarities between Spartan Race vs Tough Mudder, such as average field sizes and number of race length options. Even some of the obstacles share similarities and require similar physical traits to conquer. 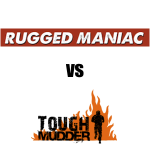 But, the key differences are what will make or break your experience at these events, whether you are new to OCR or you’ve looking to advance your way through the sport. Spartan Race is, before anything else, a race. Competitors have bib numbers, timing chips, and face a 30 burpee penalty if they cannot complete an obstacle on the first try. 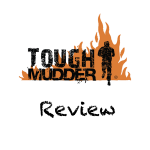 Tough Mudder, on the other hand, is seen more as a challenge, where the goal is just to finish. This difference makes the event more of a “community” feel at Tough Mudder, whereas you are competing, either against yourself or the guy next to you, in a Spartan Race. 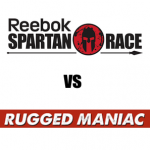 Another feature that is different between Spartan Race vs Tough Mudder is the race distances. Both Spartan Race and Tough Mudder offer four race distances to choose from, although not all distances are offered at each location. See below for specific distances and amount of obstacles you can expect at each distance. For the most part, Spartan Race and Tough Mudder obstacles are unique to each respective event. Both races have obstacles with heavy carry, get over the wall, upper body, grip, and water elements. As a whole, Spartan Race obstacles are more basic tests of individual strength, agility, or balance. Tough Mudder obstacles require more thought and teamwork. For example, Tough Mudder has an obstacle called “Pyramid Scheme,” which is basically just a giant inverted wall. Because of the mud and water, you can’t run up it alone, and need to build human ladders with other competitors. Spartan Race has a similar wall, but they hang a giant rope from the top which allows individual racers to get over the incline alone. Additionally, both Spartan Race vs Tough Mudder have unique routes and obstacle configurations at each venue, and you never see the same set up twice from one year to the next. The course maps are hidden until race day for both Spartan Race and Tough Mudder. The costs associated with both Spartan Race vs Tough Mudder are much steeper than your average street race, but when you factor in the security of having all of the obstacles built safely for thousands of people to throw themselves at, you begin to understand that it’s OK to pay a bit more. The shortest distances for both Spartan Race vs Tough Mudder come in between $69-$79, but you can often find discounts and promo codes that cut that number by 10-20 percent. As distances and the amount of obstacles increase, so to do the prices. 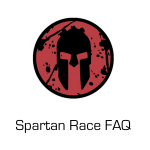 Spartan Races top out at $175 for the average racer, and $235 for elite category, which allows racers to be the first competitors to run the course and is also more closely monitored for any infractions. The World’s Toughest Mudder, a once-a-year event held in Las Vegas, costs $450. You average Tough Mudder cost comes in around $155, plus taxes and fees. 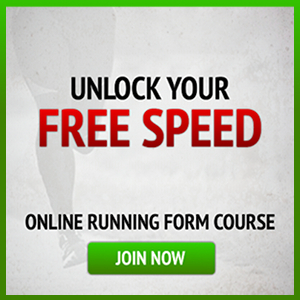 With the exception of the unique Toughest Mudder events, Spartan Races tend to be harder because you are required to complete every obstacle by yourself. The locations also tend to be a bit more extreme at Spartan Races, though there are some flatter Spartan Race events. Spartan Race also has more obstacles per mile than does Tough Mudder. This is not to say that Tough Mudders are easy, by any means. 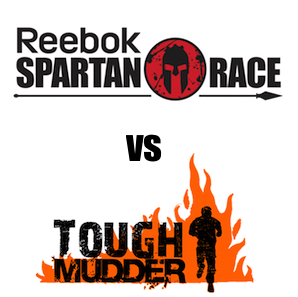 Their two shortest distances are longer than the two shortest distances at Spartan Race, and Tough Mudder tends to use more water obstacles than Spartan Race, which can wear on runners after time. Tough Mudder also uses ice baths in some of their obstacles, which is something that Spartan Race hasn’t yet factored into their races. Final Verdict: Is A Spartan Race or Tough Mudder Better for You? With the exception of the World’s Toughest Mudder, the 24 hour race in Las Vegas that has unique obstacles and forces you to run to your limits, Spartan Races tend to be more challenging for the average racer. Those who enjoy seeing how they stack up to other competitors and how they might move up or down a leaderboard from event to event or year to year will appreciate Spartan Races over Tough Mudder. Tough Mudder is great for someone who wants to challenge themselves. They’re perfect for teams of people who would encourage one another and cross the finish line together. The obstacles are more fun and often times require teamwork. In both race series, you will get a t-shirt and a beer, along with plenty of pictures from the race you have access to for free and can use for social media bragging. Spartan Race goes the extra mile and gives finishers pretty cool Spartan Race medals, while Tough Mudder gives out a headband. While both events promise to be something you’ll never forget, Spartan Race just feels a little more put together and gets our nod for better OCR series.